Watford have signed former Italy midfielder Alessandro Diamanti on a season-long loan from Chinese side Guangzhou Evergrande. The 32-year-old, who played in the Premier League for West Ham in 2009-10, spent the second half of last season on loan at Serie A side Fiorentina. 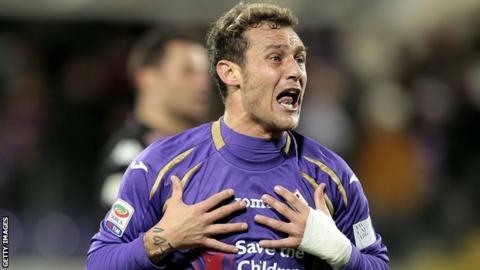 Diamanti has won 17 international caps and was part of the Italy squad that finished as runners-up at Euro 2012. He becomes Watford's 12th signing of the summer.